At Christopher Nevill we understand that letting a property is a major commitment and one where it is vital to maximise the return on your investment and to do so quickly and without undue complications. Our services never lose sight of this and are designed to make a letting as smooth and straightforward as possible. At Christopher Nevill we enjoy an enviable reputation for quality service and have worked hard to establish excellent relationships with major national and international relocation companies, international schools and blue chip organisations. We take a modern and innovative approach to marketing, yet combine the latest technology with a traditional and personal approach to customer care, being “hands on” six days a week. We have invested in the latest innovative software and telephone systems and we are able to contact all of our potential tenants immediately a property comes to the market. We pride ourselves on providing prompt feedback to clients and discussing all comments, whether positive or negative in order that, where necessary, we can agree and adjust your specific marketing plan quickly and efficiently in order to maximise the potential of your property. Our marketing coverage is so huge that properties listed with us for rent are reaching many thousands of potential tenants, who visit our carefully selected choice of websites, every day. In addition, we also advertise locally and combining this with our experienced personnel, our large constantly updated database and our distinctive To Let boards, ensures that we explore every opportunity to achieve a letting at the best possible rent and within the timescale that suits you. Our landlords clients also benefit from 24/7 online access to their statements and live statements via a secure login on this website. 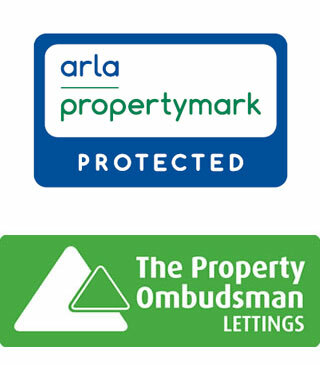 As licensed members of the Association of Residential Letting Agents (ARLA) and The Property Ombudsman Scheme (TPOS) we abide by their strict codes of conduct and, in the unlikely event of you being unhappy with any aspect of our service, they are able to provide independent adjudication and redress. We are your local agent. We offer a professional, educated and friendly service. We not only value your property, we value your custom. Our valuation will reflect the property and current market conditions. Our offices are open long hours, six days a week. All viewings are accompanied by our trained negotiators. We insist on a holding deposit from your tenants before we take the property off the market. All tenants will be credit checked and referenced prior to your approval. We contact the relevant utilities companies on your behalf. We help organise rent payments directly into your bank account by standing order. We offer both a letting, rent collection and a full management service. Innovative and distinctive local advertising. Prime High Street office location with extensive window display. Huge internet coverage on the major property websites. Rent guarantee scheme for landlords. Landlords can access their account online via our secure software system. Licensed members of the Association of Residential Letting Agents (ARLA). Members of the Property Ombudsman Scheme (TPOS). Our lettings team are here to help and can be contacted by phone on 01895 239977, by email, in person at our High Street offices or on Twitter and Facebook. 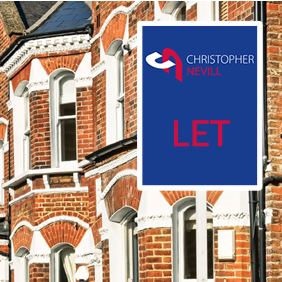 Christopher Nevill are licensed members of the Association of Residential Lettings Agents and The Property Ombudsman Scheme and abide by their strict codes of conduct.